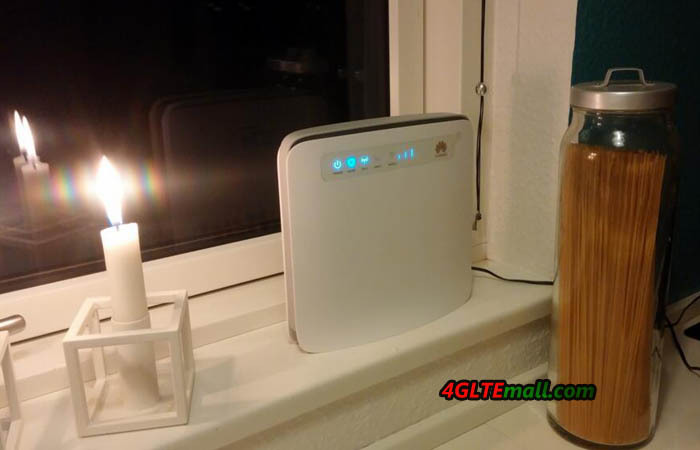 Asus offers the 4G-AC55U in December 2015, which is a new LTE router for stationary use. The new 4G Router offers many connections and is supplied with a current WLAN 802.11ac radio module, allowing speeds of up to 867 Mbit/s via WLAN in the 5 GHz range. The integrated cellular modem could support peak up to 150 MBit/s in the downlink and up to 50 Mbit/s in the uplink with LTE networks, and UMTS and GSM are supported. The design is quite exceptional for an LTE router; there is a diamond pattern on the front and the radio antennas are designed visible clearly outside the housing. With the Asus 4G-AC55U router, you can choose the Internet access via the mobile network (LTE, UMTS, GSM) or via an existing modem. 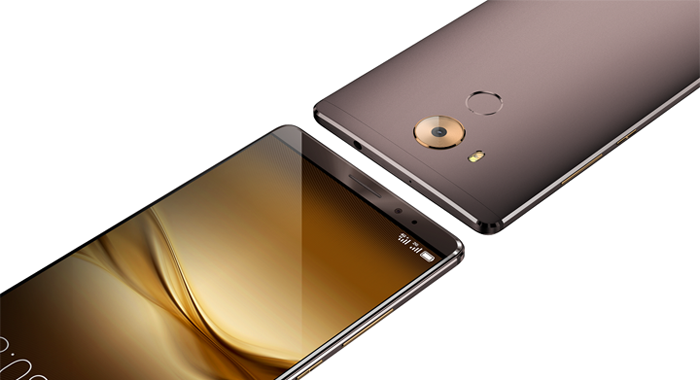 For the mobile use, of course you need a SIM card (mini-SIM form factor) with a data plan, it does not matter whether it is a prepaid card or a contract card, the Asus 4G AC55U has no SIM lock and can be used with any tariff. If you want to use the router via an existing Internet connection, you need a modem (for example, a DSL or cable modem, depending on the connection). 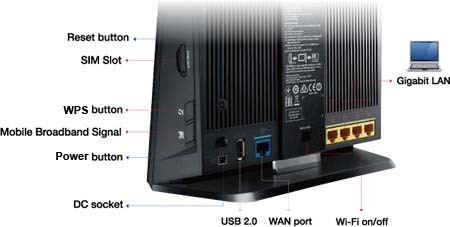 The Asus AC55U connects simply via the Gigabit WAN port to the modem, then the router acts as a pure Access Point. According to the Asus official site, the 4G-AC55U could support LTE frequency bands at FDD Band 800 /1800 /2600Mhz and 4G TDD-LTE at 2500/2600MHz. 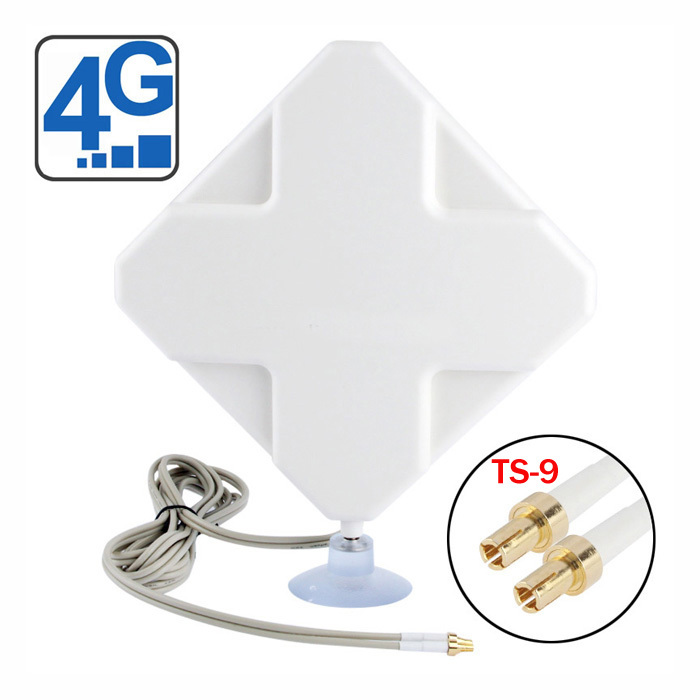 Like other 4G LTE Router such as Huawei B890, 4G-AC55U is also backward with UMTS and GSM/GPRS networks. 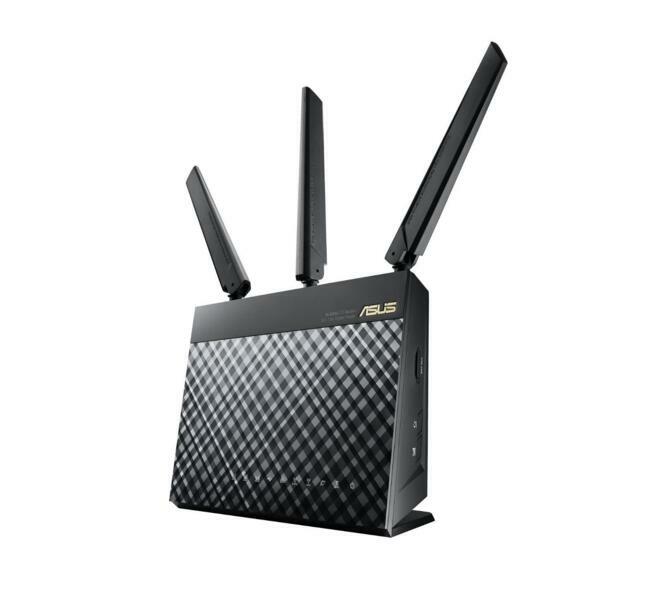 The Asus AC55U 4G Router provides a very fast Wi-Fi connection compared with other models. The device transmits simultaneously to 2.4 GHz and 5 GHz on demand, thus reaching speeds of 300 + 786 MBit/s. Thus data-intensive applications such as UHD streams, online gaming and a NAS usage should be no problem. 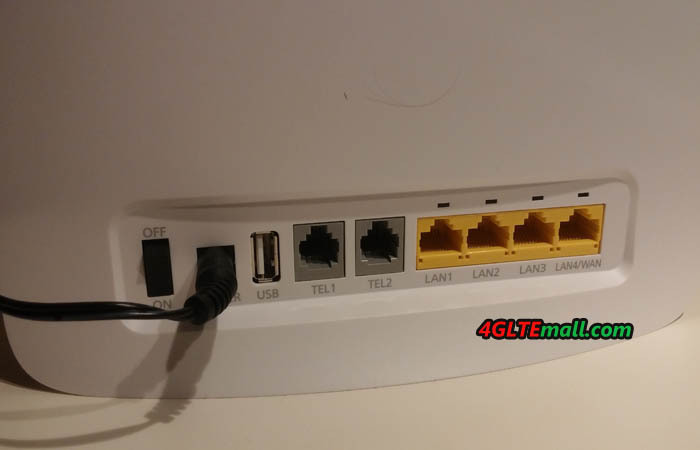 Alternatively, you can also use a four RJ45 Gigabit Ethernet ports on the back of the router for connecting devices with the Asus 4G AC55U. The wireless connection can be switched on and off on request with a switch on the back. For the connection of a USB storage media, an USB 2.0 slot is available. So you can for example integrate an external hard drive in the network and retrieve content such as movies and photos directly on the smartphone or tablet. A printer can be integrated via USB to the network. 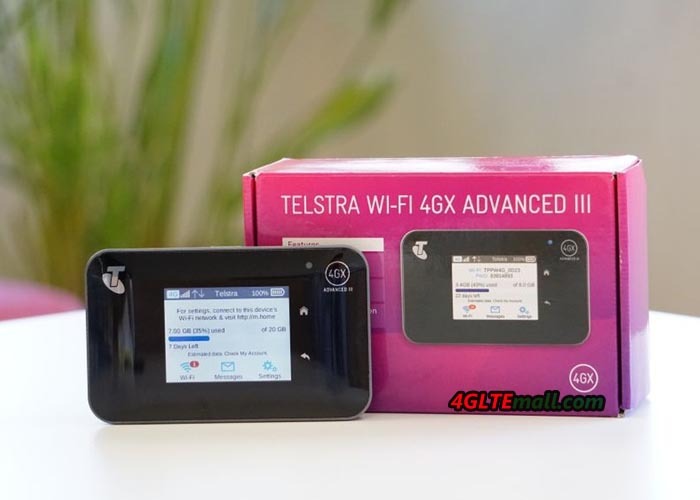 The Asus 4G AC55U is currently available at www.4gltemall.com . If you like it, you could order it. Following the top vendors, TP-Link presented new 4G LTE Router. The TP-link TL-MR6400 LTE router is now available in many European countries, such as Germany, Austria and Switzerland. With a budget price, the TP-MR6400 is rather low in comparison, but the router offers a decent equipment such as a 150 MBit/s LTE modem and wireless with up to 300 MBit/s. In addition to three RJ45 LAN ports, there is a fourth combined WAN/LAN port, so you can operate the TL-MR6400 also using an external cable, DSL or fiber optic modem. 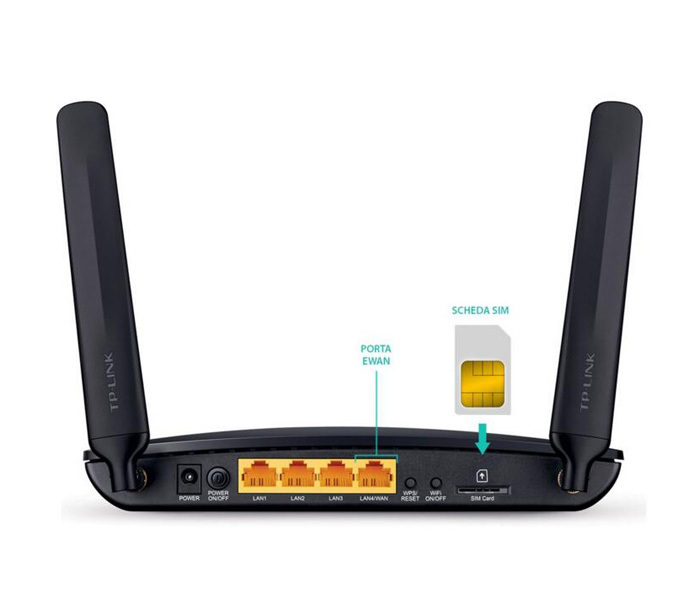 The TP-Link TL-MR6400 looks unspectacular; there are two external antenna on the body connecting to the router with a cellular modem. 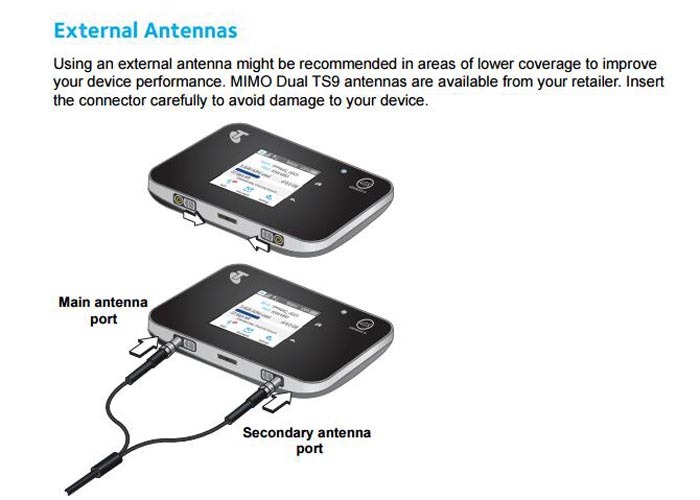 According to TP-Link, the antennas can be easily unscrewed by the user, if you prefer to use an LTE external directional antenna. 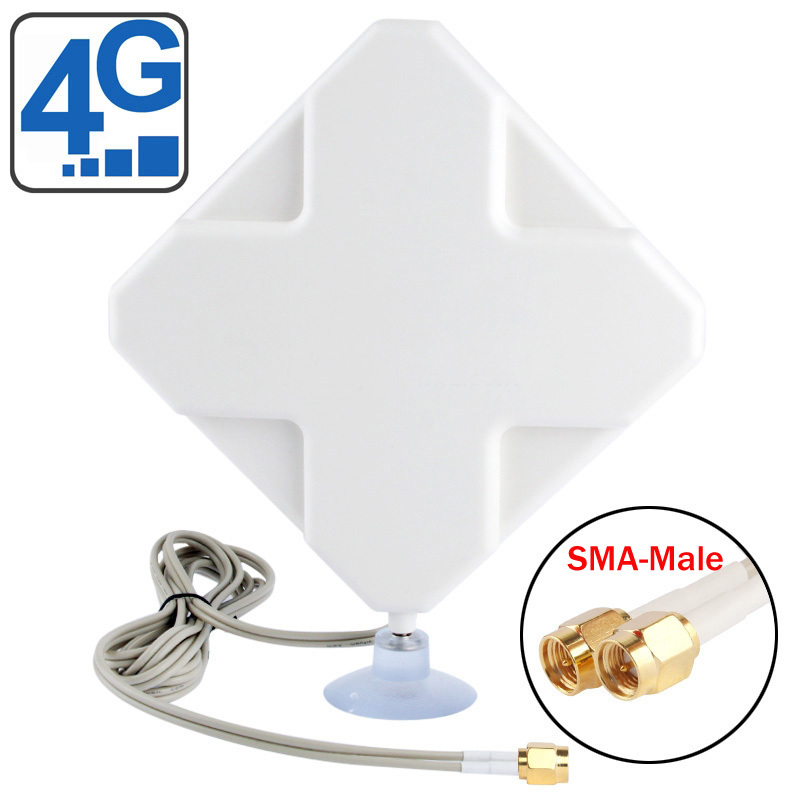 For the operation of the modem, the router requires a SIM card in the standard mini SIM form factor, the adapters for Micro-SIM and nano-SIM are included, so any existing SIM card is ready for use immediately in the TL-MR6400. The modem can be used at speeds up to 150 Mbit/s in the downlink and up to 50 Mbit/s in the uplink, this corresponds to LTE category 4 (Cat4). It supports the FDD-LTE frequency ranges 800, 900, 1800, 2100 and 2600 MHz in the TDD-LTE. Furthermore, the TL-MR6400 supports dual band UMTS with up to 42.2 Mbit/s in the downlink and up to 5.76 Mbit/s in the uplink and quad-band GSM/EDGE. Internet connection is passed either wirelessly via WLAN or via one of the four RJ45 network connections on terminals. 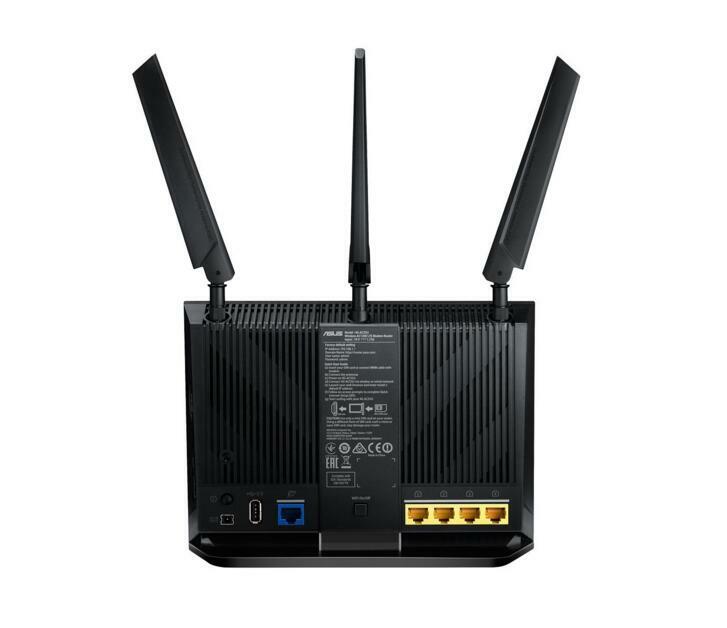 The TL-MR6400 also supports Wi-Fi 802.11b/g/n on 2.4 GHz with up to 300 MBit/s and has four 100 Mbit/s LAN ports. Here you can tell the competitive price, because Gigabit LAN would have been given the up to 150 MBit/s fast LTE modems, which is definitely required. With the 100 Mbit/s LAN ports, it is impossible to exploit the full LTE speed. The TP-Link TL-MR6400 is one of the best LTE router on the market. A constantly updated overview of all LTE router can be found at this link. If you prefer other brands, such as Huawei, ZTE, we would like to recommend Huawei B890 4G LTE Gateway. 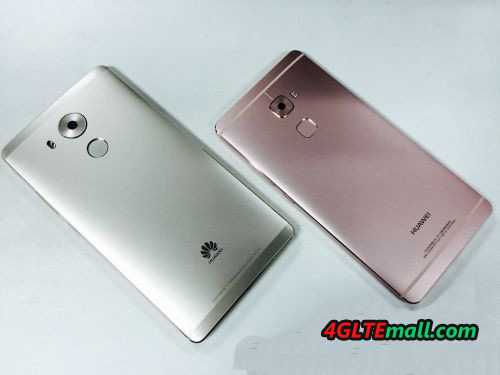 Actually, here now, the LTE category 6 wireless router Huawei E5186 is already available for long time, if you prefer latest possible download speed, Huawei E5186 would be the best option, but you may have to bear higher price. Start by inserting your SIM card and connect the power adapter to the Huawei E5186 router. The SIM card must be inserted into the bottom of the router. The power adapter should connect to the back of the router. You must connect the router to your computer via the wireless network (Wi-Fi). You will find the router’s name and network code on the label which is printed at the back of the router. Once connected, open your internet browser (eg Internet Explorer or Safari) and in the address bar, type the router’s address http://192.168.8.1. Go to the address. Select the tab “Settings” and log on. The username is admin and the password is admin. You can also find both the router’s address, user name and password on the label in the router. The router will ask you to change your password when you log in. Skip this since your router is already ensured with a unique network code that you entered earlier in order to connect to the router. Close the message. Select the tab to the left called Quick Setup. You will now be guided through the setup of your router. Once you have completed the quick setup, the Huawei E5186 router will be connected with the internet for surfing on the web. The telecom company “3” has introduced the Huawei E5180 4G mobile broadband router into the company’s product line, and now we have the new smart 4G router available. The first thing you notice is the size. The entire dimensions of Huawei E5180 are 110 x 70 x 70 mm, not much bigger than a coffee mug, and on top, the router has a beautiful soft blue LED light that indicates that the router is turned on. If the blue light is annoying, the E5180 4G WiFi Cube can be disconnected from the options menu, or simply by pressing down on the top of the router. Possibility to switch off the light is a welcome feature, since the blue light can be irritating. 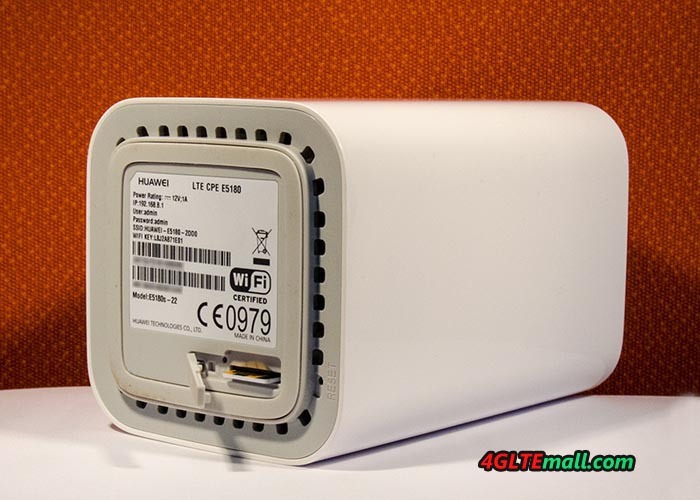 Compared to some larger mobile broadband routers, it seems Huawei E5180 is elegant. 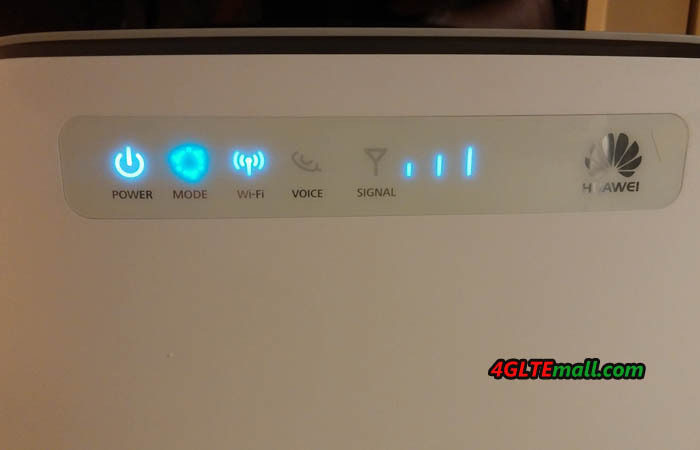 On the front, there are two small blue LED light that indicates when the router has the connection to the mobile network and when there is Wi-Fi connection. On the back of the Huawei E5180 Cube, there is an Ethernet port, a PSTN (phone) port and a plug for the power supply. The external power supply is white with white cord, and fits well with the small little beautiful router. You can install the SIM card at the bottom of the router. Also a flat Ethernet cable is included in the sales package, and this is also white. Technically, there is a Category 4 LTE modem supporting speeds up to 150 Mbit/s in 4G LTE and DC-HSPA+ up to 42 Mbit/s over 3G. 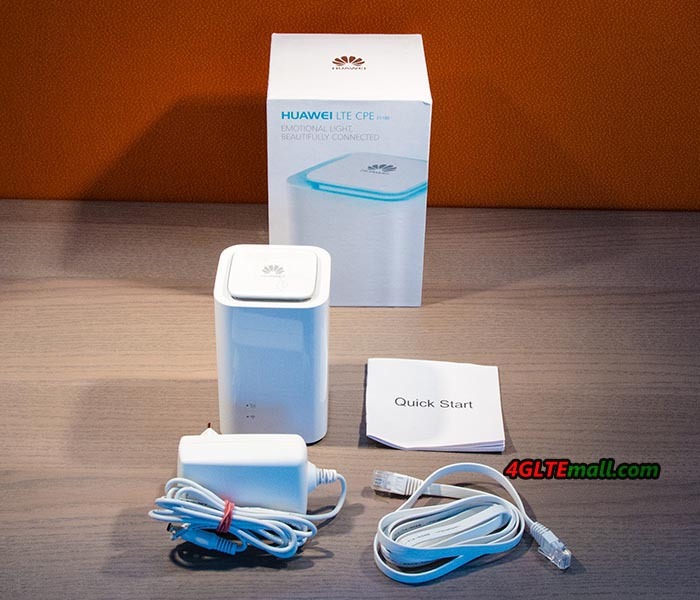 The Huawei WiFi 4G Cube router supports the 4G FD-LTE on 800, 1800, 2100 and 2600 MHz. 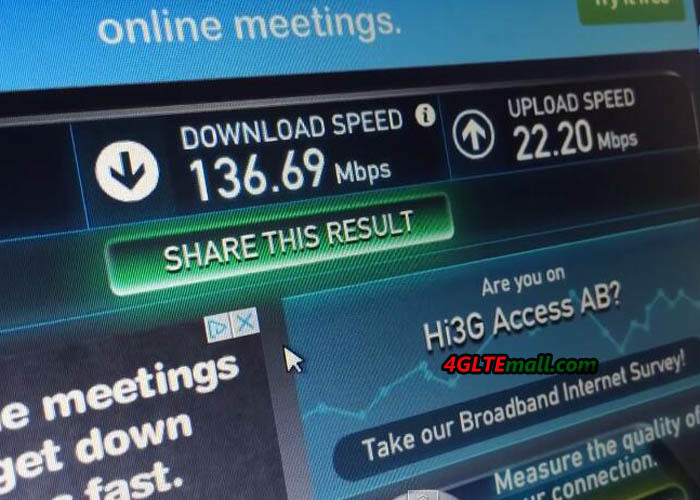 During our test, the Cube E5180 router showed the fine reception on 3’s 4G network. Wi-Fi connection is at 2.4 GHz, and the router supports 802.11 b/g/n standards. N standard runs with MIMO 2 × 2, and according to the sales package, the Huawei Cube E5180 could cover up to 250 meters – this part could not quite be confirmed, but the range of Wi-Fi signal was quite acceptable. The Huawei WiFi Cube E5180 supports up to 32 connected Wi-Fi devices simultaneously. 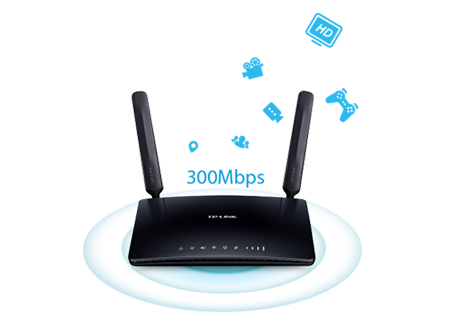 The router has only Wi-Fi 2.4 GHz, and it is not possible to choose whether the router must use Wi-Fi B, G or N standard. The router uses all three standards, and it can not change. However, it is possible that user can make four separate SSIDs (separate Wi-Fi network), but you can’t setup more advanced things such as bandwidth-limitation of the additional SSIDs. 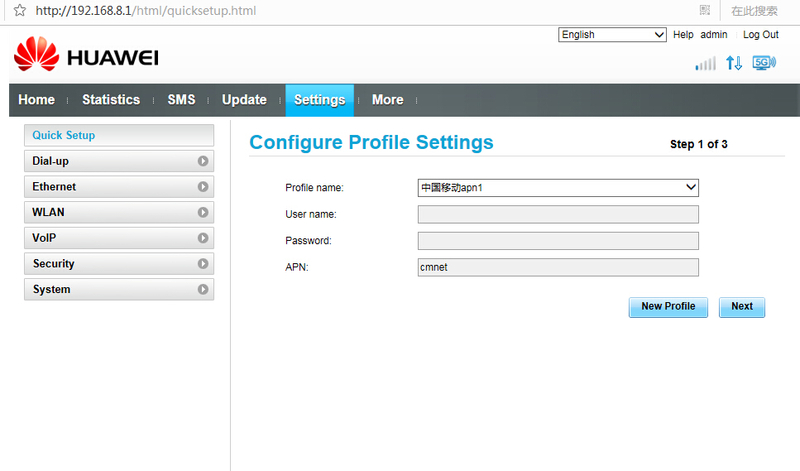 You can set up a SIP account if you wish to use the router PSTN jack to connect a landline phone on the router, and use it for Voice over IP telephone. 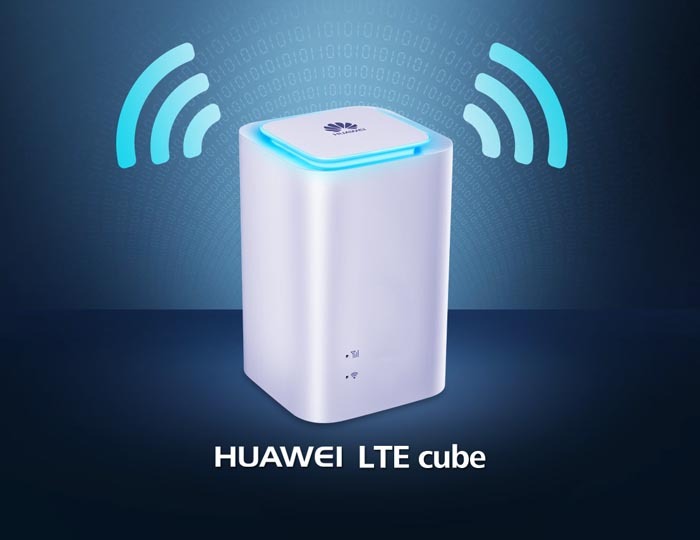 There is no possibility of connecting external antenna to this 4G WiFi Cube, so you must use the Huawei E5180 far from the nearest cell tower. The rate has been acceptable throughout the test. 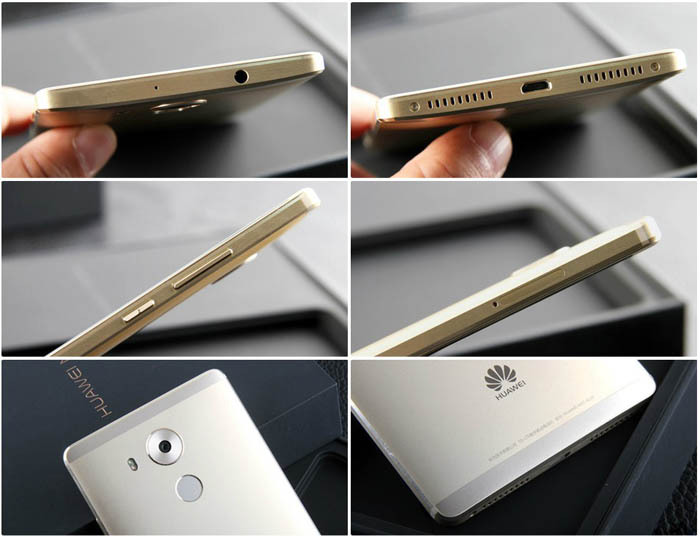 Two words can summarize Huawei E5180 could be “very good”. 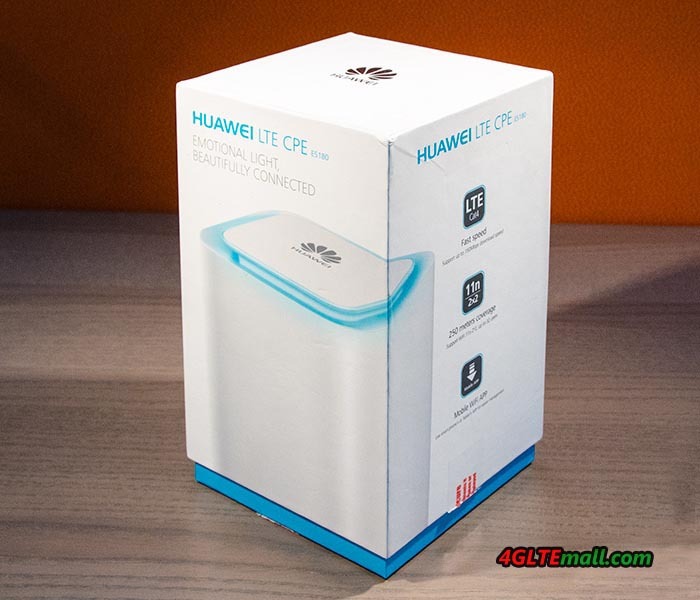 The Huawei 4G WiFi Cube is not designed to be an all-round solution like many of the other mobile broadband routers on the market. The E5180 router is designed to be small and elegant, and so easy to install that you basically only need to insert a SIM card. The router is nice and easy to use in everyday life. 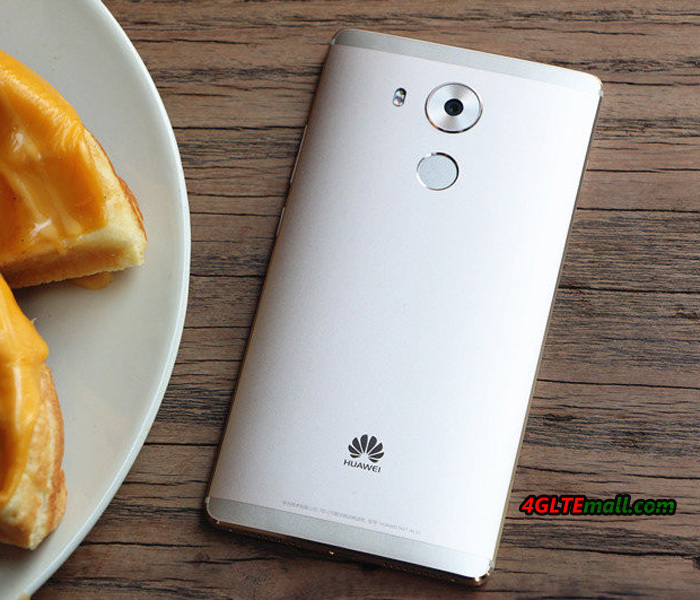 Huawei E5180 is an exciting 4G LTE router that fits perfectly in the frame. Good performance, easy to get started and fine speed. Huawei E5180 does really well. 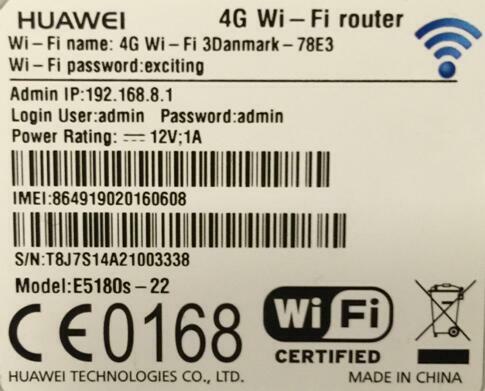 Huawei E5186s is the name of the Chinese producer’s latest mobile broadband router on the Danish market, and the telecommunications company “3” has introduced the E5186 router into their range as the router perfectly fits 3s network. The router can support Carrier Aggregation, which the phone company uses to achieve speeds of about 140 to 150 Mbit/s. Antenna connector for external antenna. Mobile broadband routers usually include not only the most basic set, and is by no means at the forefront compared to normal home routers, so this must be kept in mind to have a little quick look at the router’s functions. 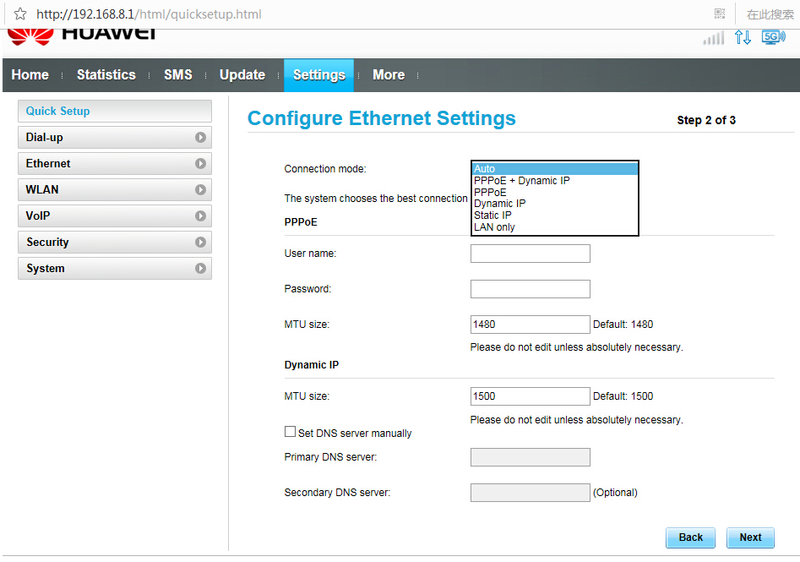 The start-up of the Huawei E5186 router is very easy. You put the Sim card in, turn on the router and the name of the wireless network and the password are behind the router. So you can access the internet in two minutes. 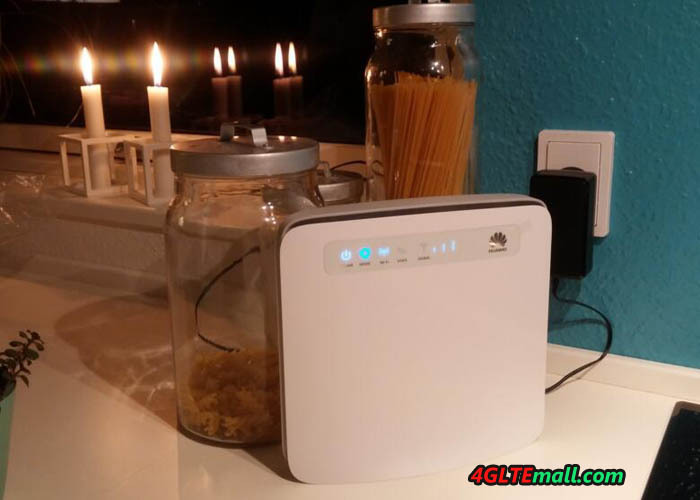 The router is kept in white color, fit perfectly into most homes. Somebody may not exactly love the router’s blue twinkling lights. It should be mentioned that the included black power adapter is just as ugly as all other black power supplies that are currently provided in electronic products. The first thing you notice is that the E5186 router’s configuration to be accessed via the address 192.168.8.1, which is slightly different than most other routers in the consumer market. Next, you will be presented with a login window where you see the router’s current status without having to login to. On the statistics, you can see the statistics of one’s consumption of data. The statistics are not just useful for much, but it gives an opportunity to follow one’s consumption, although it is somewhat unclear how the statistics are generated. It is possible to update the router software on page “update”. The software update can be performed locally via USB or downloaded online. 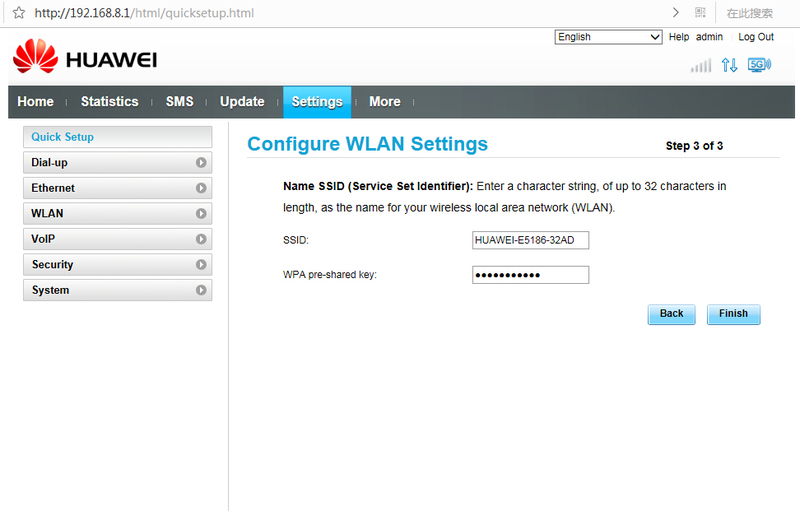 The real fun options are listed in the settings where all the huawei E5186 router important settings hiding. Here you can change the name of the Wi-Fi network individually on both the 2.4 and 5 GHz. Unfortunately no possibility to make a guest network. On the other hand, there are plenty of other very advanced features such as to setup a SIP server, which you use to certain types of IP telephone. The router is equipped with two phone ports, so it is possible to use the Huawei E5186 router to the IP phone. But this part, we have not tested. It is also possible to block access to certain websites directly in the router – eg. block access to Facebook or YouTube. You simply enter the address of the web sites you do not want users to be able to access via the browser, and so prevents the router access to the site, which is quite useful if teenage daughter spend too much time on Facebook. Finally, it is also possible to share the contents of a hard drive or a printer respectively via DLNA and Samba over the LAN. DLNA function serving as expected, and it is possible to stream video, view photos or play music. The setup of samba function caused not so many problems. The most important thing about the Huawei E5186 router is enough for daily use where you do not have to play with the functions in the menu, the router would be running rock-stable. 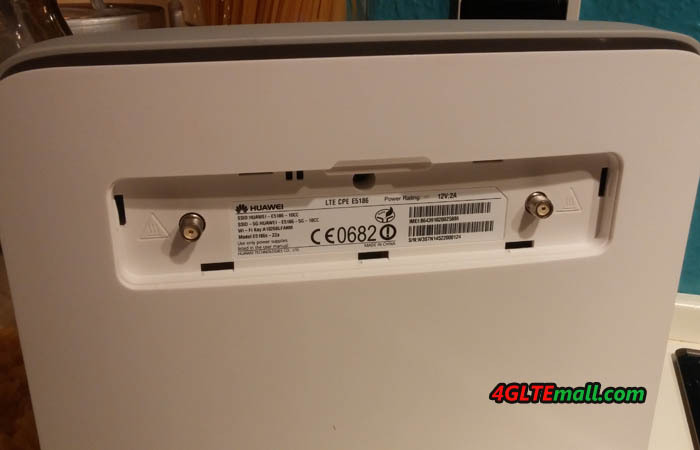 Even with sometimes up to 14 Wi-Fi devices connected, Huawei E5186 LTE router drove stable, and there was absolutely no trouble keeping Wi-Fi connection itself far from the router. It is really convenient to be able to choose Wi-Fi at 5 GHz, when many residential areas have too many Wi-Fi network at 2.4 GHz, which creates noise and resulting low throughput of Wi-Fi. The only really big complaint about Huawei E5186 router is the exceptionally bright LED lights on the router’s front – LED light shines just like a lighthouse. User should not put the router in the bedroom if you are planning to get some sleep during the night, and there should be a configuration option to turn down the strong light. Overall, Huawei E5186s router is a quite fine and sensible 4G router. It was no connection problems under the little mini-test, and the router did its good job for 12 terminals. If you are planning to buy a future proof router with good stable performance, Huawei E5186 4G LTE wireless router is recommended. Netgear has announced the first mobile hotspot AirCard AC810S with LTE Advanced category 11 at CES in Las Vegas. With LTE Cat11, the router reaches speeds of up to 600 megabits per second in the downlink, so that the device is twice as fast as the fastest development stage (category 6). Operation is carried out in a large color touch screen on the front, like the predecessor model Netgear AC790s. In Europe, LTE Advanced Cat11 is currently not offered by any network operator, but Vodafone is planning the launch of LTE Advanced with more than 500 Mbit/s around mid-2016 and other network operators are sure to upgrade their networks accordingly. After the MWC in Barcelona , we suppose more terminals with LTE Cat11 or LTE cat12 will be coming onto the market. According to Netgear official site, the Netgear AC810S has a replaceable battery with capacity of 2930 mAh and the operating times of about 11 hours are possible for continued use. It comes with a so-called Jump Boost cable, which allows you to use the Netgear AirCard 810 hotspot to charge other devices such as smartphones and tablets. The Netgear AC810S may take up to three 20 MHz wide frequency ranges bundle (Triple Carrier Aggregation). Depending on the configuration and frequency from the network operator, the Aircard 810s therefore could possibly reach up to 600 MBit/s in the downlink. In Germany, Austria and Switzerland, the network providers would take the carrier aggregation at the frequency ranges of 800, 1800 and 2600 MHz and both the German Telekom and the provider Swisscom have already announced wanting to put Carrier Aggregation the future. Netgear has not yet announced whether the AirCard AC810S router will come onto the market. Even for the price, there are so far no details. Probably the AC810S LTE router will be more expensive than its predecessor, the Netgear AC790S with LTE Advanced Cat6 (300 MBit/s) without a contract. For more details and a detailed data sheet can be found on the website www.4gltemall.com . 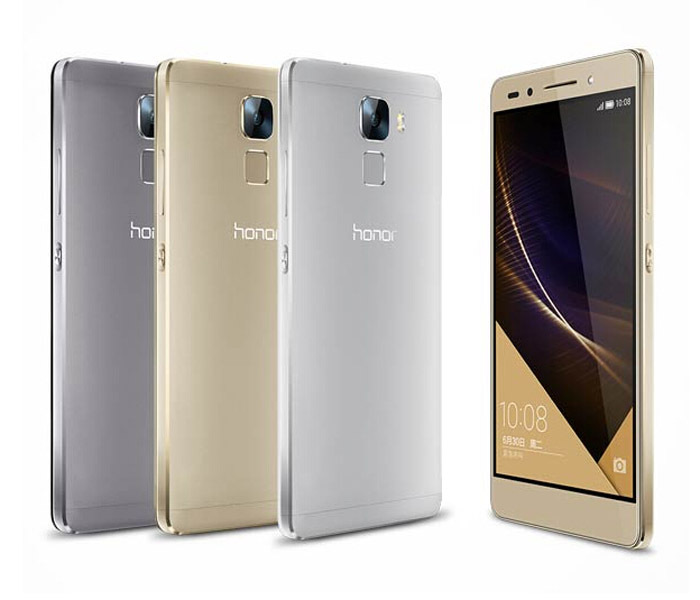 The Huawei Honor 7 has an update available for a short time, which fixes several minor problems. 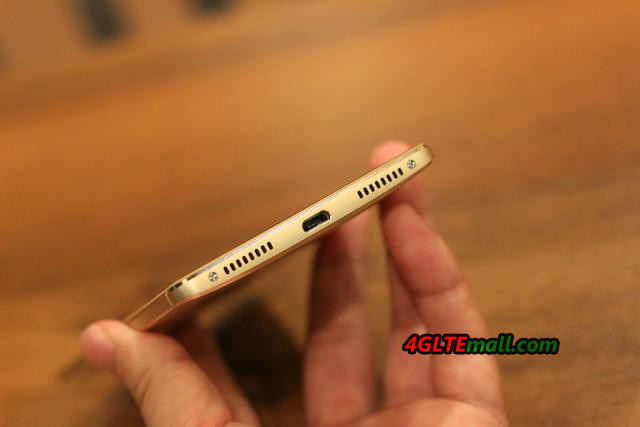 According to the feedback from users about Honor 7, one of the biggest problems of the device is the audio quality, which need to be improved with telephone calls. There has been often misfires with telephone calls in GSM and UMTS network, and the communication quality is bad despite good reception that you barely understood and had to cancel the call. Personally, I have these problems especially in the dual SIM operation in 2G network while other devices did not have the audio problems at the same location. 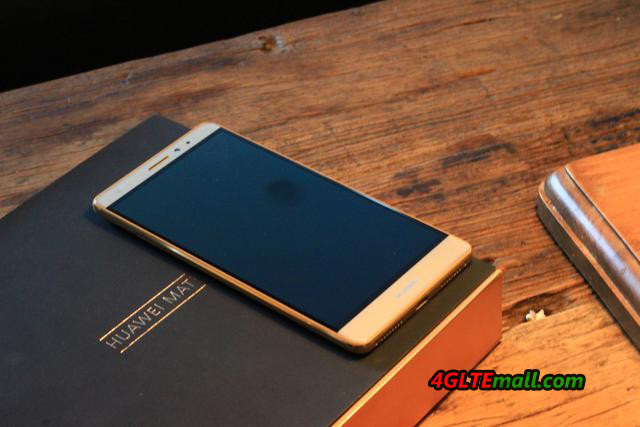 With the new update with version number PLK L01C432B170, the problem was fortunately resolved. 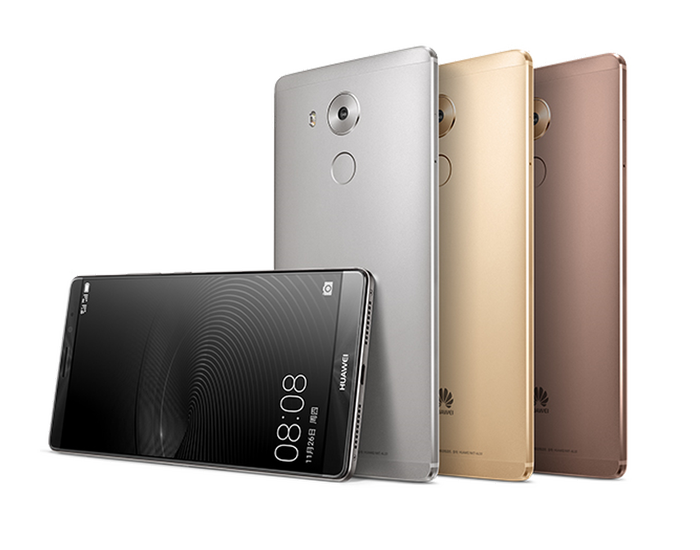 The update for the Honor 7 can be easily accessed on the smartphone via the Settings menu. The upgrade program allows downloading the firmware via both Wi-Fi as well as via the cellular connection, the actual installation takes about 10 minutes. The small firmware update for the Honor 7 brings only security patches and enhancements of existing functionalities. Next to the audio problem, some translations of minority languages was rectified. Even the mistakes that often two notification symbols are displayed at only one new message in Messenger applications like WhatsApp and Telegram, has been finally resolved with the update. The Android version number remains in the 111 megabyte update at 5.0.2 (Lollipop ), you have to wait at the big update to Android 6.0 Marshmallow. there is already a beta version for this update, interested users can sign up for the beta test and install Android 6.0. 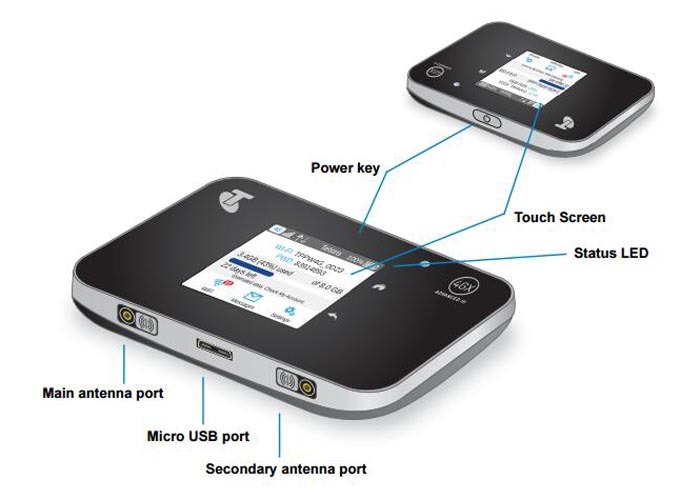 Netgear had presented a new LTE terminal “AC810S-300” to market recently. The Aircard AC810S hotspot has passed through the FCC at December 7, 2015. FCC ID is PY3AC810S. 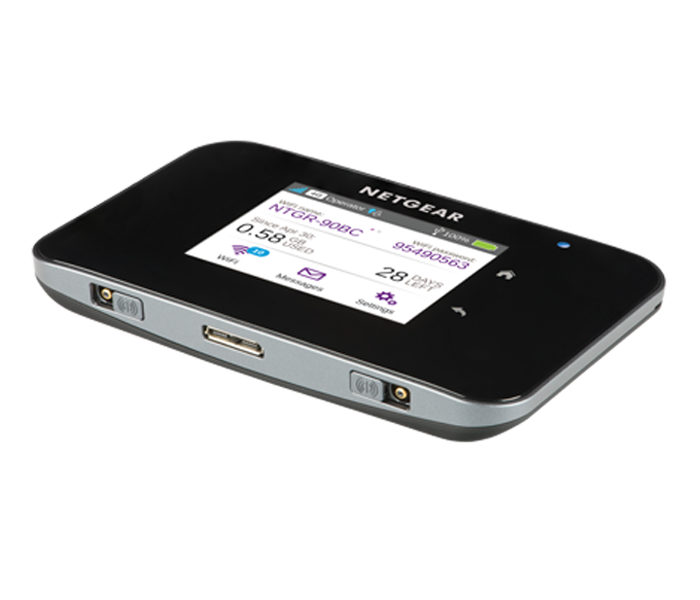 The Netgear AC810S LTE Mobile hotspot could support multiple networks, such as FDD-LTE/TD-LTE/W-CDMA/CDMA2000. 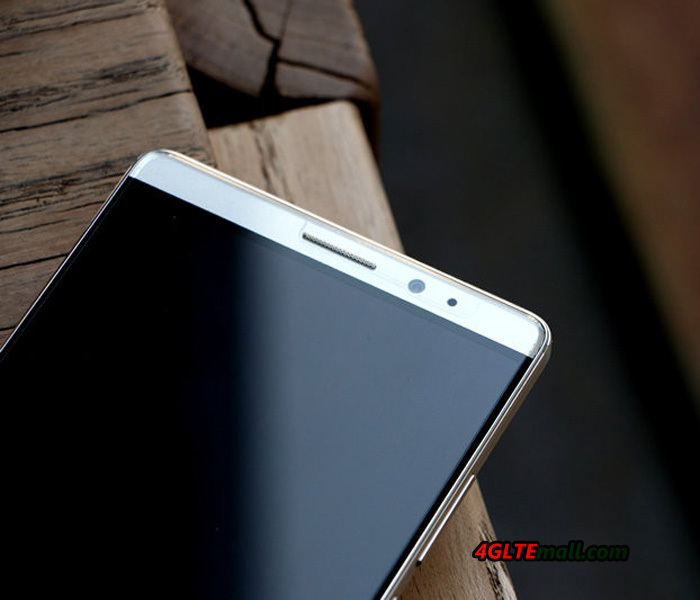 The Mobile networks include FDD-LTE 1900 (B2 / B25) / 1700 (B4) / 850 (B5) / 800 (B26) / 700 (B12) MHz, TD-LTE 2500 (B41) MHz, W-CDMA 1900 (II) / 850 (V) MHz, CDMA2000 1900 (BC1) / 800 and is certified by the (BC0 / BC10) MHz. The Aircard 810s has been passed in the frequency of wireless LAN, standard corresponding to the IEEE 802.11 a/b/g/n/ac. Wireless LAN communication 5.xGHz band in addition to the 2.4GHz band are also made possible. Netgear has many branch models, which has not be published, and the AC810S-300 is also the model number of unpublished terminal. It can be seen that it corresponds to previously announced AC810S series. 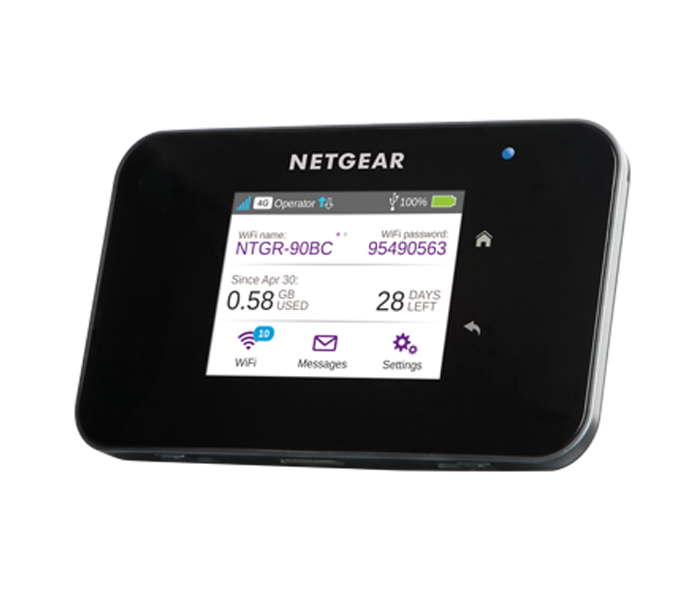 NETGEAR AirCard 810S is a mobile wireless LAN router that supports carrier aggregation and it is a LTE UE Category 11 and the key technologies of LTE-Advanced. Carrier aggregation corresponds to the 3 component carrier aggregation (3CC CA), the communication speed could reach the maximum downlink 600Mbps. 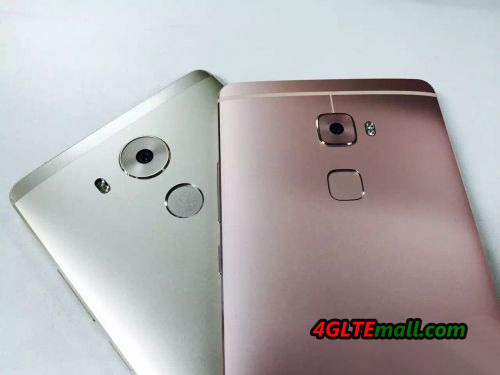 We had seen the sample with the US mobile operator Sprint logo on the device. It is believed that NETGEAR AirCard 810S will be introduced for the Sprint.